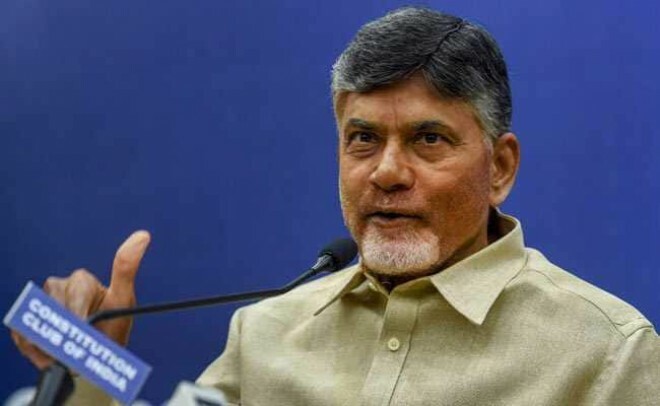 Guntur, Feb 18: Andhra Pradesh Chief Minister Chandra Babu Naidu has suggested to Andhra People that they have to criticize the leaders, who left the party recently. During the celebration of Kondaveedu Celebrations in Guntur, he made these comments in the wake of top leaders are shifting to other parties. he also said that the TDP is strictly giving the ticket to the party leaders if and only if the concerned person will work to the people of Andhra. He also added that the leaders are migrating to other parties in the fear of losing the Ticket. He also lambasted on Prime Minister Modi, TRS, and YSRCP parties. Modi is adding fuel to the Bifurcation of Andhra Pradesh while TRS is not supporting the Navyadhra Pradesh , he added.